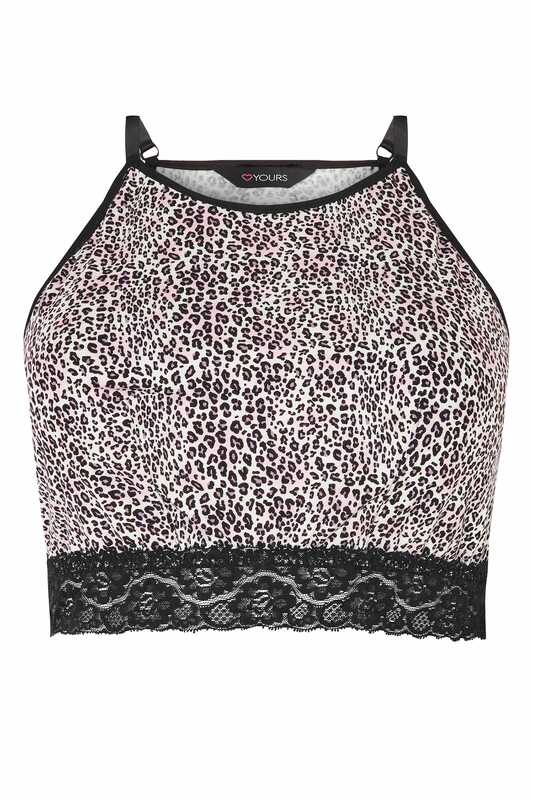 Boasting a bold leopard print, this bralette is a pretty around-the-house option. Offering secret support at the bust and maximum comfort all-over with a soft touch fabric, it showcases a floral lace trim with an elegant scalloped finish. Relaxed and easy-to-wear, it is the perfect option for updating your loungewear collection.